But now it seems one of those three has been knocked down into the dirt with the rest of us. 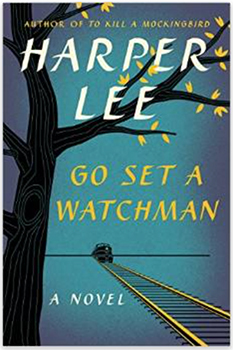 With all the sturm and drang surrounding the release of Go Set a Watchman today, it’s easy to forget this book is basically an “outtake reel”—a first draft of one of the most beloved novels of all time. Like millions of other readers, I have long cherished Harper Lee’s book because of its lovely prose, its crisp characterizations, and above all for Atticus Finch. He was the character who inspired millions to be better than themselves, to love justice and seek kindness. And I am unable and unwilling to give him up. If the idea that Atticus is a secret racist strikes you as jarringly inconsistent with the character you encountered in To Kill a Mockingbird, do not feel as though you must read this new book to figure out what’s right. The Atticus you have known belongs to you; you created him. Some of your raw materials—just some of them—came from Harper Lee’s words, some of them came from your own life and experiences, and some of them (probably, let’s be real) came from Gregory Peck’s performance in the wonderful 1962 film adaptation. You combined them in your head and made an Atticus, and you know what he’s like. I’m with the French literary critic Roland Barthes on this one. In his 1967 essay “Death of the Author” he posited that literary works are “eternally written” with each re-reading because the “origin” of meaning lies exclusively in “language itself” and the impressions it makes on those who interact with it. Hence, what the author meant doesn’t matter—only what the reader draws from it does. 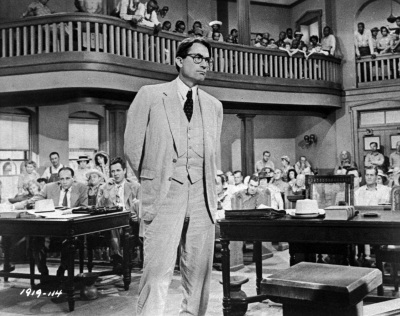 Atticus Finch left a deep and indelible mark on my life, and it doesn’t matter what Harper Lee intended. It doesn’t matter what the cash-grabbing lawyers and publishers do. Atticus can and will always be what I believe him to be. And in my mind he is just, loving, wise, and ever full of grace, all qualities that are still sorely lacking in this tired old world of ours. I’ve also been brought low by the undercover video that was released today by the Center for Medical Progress. It features Deborah Nucatola, Planned Parenthood’s senior director of medical research, blithely discussing the sale of fetal tissue harvested during abortions while she enjoys a delicious salad and glass of red wine. In my mind, this apathetic dismissal of human life is no different than the white jury deciding to hang Tom Robinson in order to preserve the racist status quo. In both cases, life is being squandered and wasted, chewed up and spit out by a cruel world that is no respecter of persons be they black or white, born or unborn. Atticus Finch couldn’t change hearts and minds when it came to race, and I doubt that video will change public opinion regarding abortion. The world is still dark, and there is no evidence that the light will dawn any time soon. But thankfully my hope is not in Atticus Finch. And it is not in the Center for Medical Progress. It is in Jesus Christ and him alone. So no, I will not read Go Set a Watchman. Instead, I will re-read my dogeared copy of To Kill a Mockingbird and treasure the version of Atticus Finch I have come to know and love, the one I have admired since I first read the book—when I was barely older than Scout myself. But I will not worship him. Thankfully, my joy is not contingent upon the stature of a fictional character. Its source is the Savior—one far greater, more just and loving and full of amazing grace than I could ever imagine. Jamie, OUTSTANDING and courageous! Insightful, well-researched and written with heart-clarity. Thanks again. And don’t stop . . . please? Many thanks for the kind words of encouragement, sir. The song encouraged me today, and I thought it wise to pass it on. Jamie, your phrases about Planned Parenthood vis a vis ‘To Kill a Mockingbird’ were not a far stretch. In this dark world, one Light still shines…. Hallelujah. Evil is evil, sin is sin…regardless of the veneer.